This weekend is going to be a busy one for ESPN. The schedule is jam packed this weekend for The Worldwide Leader in Sports and its family of networks. The biggest of this weekend’s events across the ESPN family of networks is the annual running of NASCAR’s Brickyard 400. 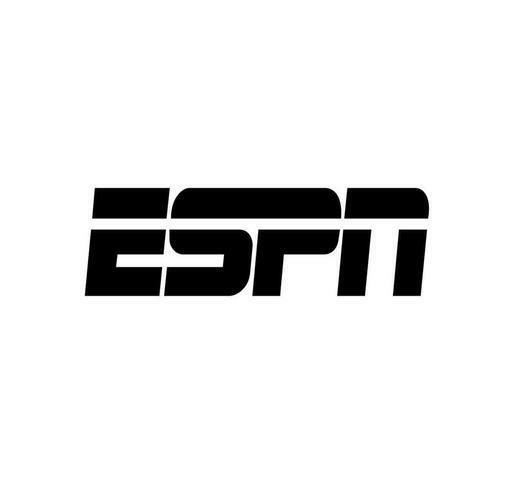 ESPN takes over coverage of the NASCAR Sprint Cup Series from TNT this weekend and carries it straight through to the series’ season-ending race at Homestead-Miami Speedway. This weekend’s coverage of the Brickyard 400 events begins Saturday morning at 9am with the broadcast of Sprint Cup Series practice on ESPN2 and WatchESPN. This is the only coverage that will be carried on ESPN2. All other coverage throughout the weekend will be carried on ESPN and WatchESPN. Qualifying for the Brickyard 400 will be broadcast at 2pm ET followed by ESPN’s weekly broadcast of NASCAR Countdown at 4pm ET and the NASCAR Nationwide Series’ Lilly Diabetes 250 at 4:30pm ET. The green flag for that race is expected to drop at 4:49 pm ET. Sunday’s coverage of the Brickyard 400 begins with NASCAR Countdown at high noon. The green flag for the Brickyard 400 is expected to fly at 1:19pm ET weather permitting. Dale Earnhardt, Jr. will serve as in-race reporter for the Brickyard 400. He will discuss all of the latest in-race happenings with ESPN analyst Dale Jarrett during the race’s pace and caution laps. More information on this weekend’s coverage of the NASCAR Nationwide Series and NASCAR Sprint Cup Series races is available online now at http://espn.go.com/racing/nascar. To keep up with the latest sports and entertainment news and reviews, go online to http://www.facebook.com/philspicks and “Like” it. Fans can always keep up with the latest sports and entertainment news and reviews in the Phil’s Picks blog at https://philspicks.wordpress.com. NASCAR Sprint Cup Series regular and Hendrick Motorsports driver Kasey Khane ruined the party for the Nationwide regulars last weekend at Daytona when he won the Firecracker 250 presented by Coca-Cola. Nationwide Series regular and JR Motorsports driver Regan Smith reclaimed the NNS points lead thanks to a second place finish in the race. Elliot Sadler and Chase Elliot both had a rough weekend in Daytona, dropping each one position in the standings. This week, Sadler and Elliot look to rebound whil Smith looks to keep his lead as the NASCAR Nationwide Series comes to New Hampshire Motor Speedway for the Sta-Green 200. The 200-lap race will be broadcast live on ESPN2 beginning with NASCAR Countdown at 3pm ET. The green flag is expected to fly at 3:46pm ET. Nicole Briscoe will anchor NASCAR Countdown. She will be joined at the desk by Rusty Wallace and Brad Daugherty. Allen Bestwick will have the call from the booth. He will be joined by ESPN analysts Dale Jarrett and Andy Petree. More information on this weekend’s race and all of ESPN’s NASCAR coverage is available online at http://espn.go.com/racing/nascar. To keep up with the latest sports and entertainment news and reviews, go online to http://www.facebook.com/philspicks and “Like” it. Fans can always keep up with the latest sports and entertainment news and reviews in the Phil’s Picks blog at https://philspicks.wordpress.com. Joe Gibbs Racing has been the center of attention in recent weeks. The reason being that Roush Fenway driver Carl Edwards has been rumored to be heading over there next season. But after last weekend’s NASCAR Nationwide Series race at Kentucky Speedway, JGR is the center of attention for another reason. That reason being that JGR driver Elliot Sadler now leads the NASCAR Nationwide Series points thanks to a 10th place finish in the John R. Elliot Hero Campaign 300 presented by Drive Sober or Get Pulled Over. Chase Elliot, who came into last weekend’s race as the series’ points leader finished two positions behind Sadler in 12th, knocking him down to second overall in the points standings. This weekend, Elliot will look to bounce back and retake the points lead as the NASCAR Nationwide Series races under the lights at Daytona. The Subway Firecracker 250 will be run at Daytona International Speedway Friday night live on ESPN2. 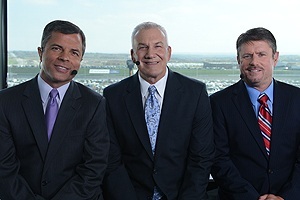 It all begins with ESPN2’s weekly pre-race NASCAR Countdown broadcast at 7pm ET. The green flag is expected to fly at 7:49pm ET. Allen Bestwick will anchor Friday night’s broadcast. He will be joined by ESPN analysts Dale Jarrett and Andy Petree in the booth. Nicole Briscoe will anchor NASCAR Countdown. She will be joined by her regular co-hosts Rusty Wallace and Brad Daugherty. More information on the ESPN family of networks’ coverage of the NASCAR Nationwide Series is available online at http://espn.go.com/racing/nascar. To keep up with the latest sports and entertainment news and reviews, go online to http://www.facebook.com/philspicks and “Like” it. Fans can always keep up with the latest sports and entertainment news and reviews in the Phil’s Picks blog at https://philspicks.wordpress.com. The NASCAR Nationwide series makes a westward swing this weekend. The NASCAR Nationwide Series is in Iowa nthis weekend for the Get To Know Newton250 Presented by Sherwin Williams. Rookie driver Chase Elliot will look to extend his current points lead over Elliot Sadler and JR Motorsports team mate Regan Smith when drivers take the green flag. The 250-lap race on the 7/8th mile track will be broadcast live on ESPN. NASCAR Countdown will precede the race at 1:30pm. The green flag is expected to drop at 2:14pm ET. Dave Burns will have the call from the booth. He will be joined by NASCAR Winston Cup Champion and ESPN analyst Dale Jarrett and former NASCAR crew chief Andy Petree. More information on next week’s race in Iowa is available online at http://espn.go.com/racing/nascar. To keep up with the latest sports and entertainment news and reviews, go online to http://www.facebook.com/philspicks and “Like” it. Fans can always keep up with the latest sports and entertainment news and reviews in the Phil’s Picks blog at https://philspicks.wordpress.com. The NASCAR Nationwide Series heads to “Thunder Valley” this weekend. Points leader Regan Smith looks to extend his lead over Trevor Bayne when the Nationwide Series makes its way to Bristol Motor Speedway for the Drive to Stop Diabetes 300 Presented by Lilly Diabetes. Coverage on ESPN2 begins with live qualifying at 10am ET. NASCAR Countdown follows at 1:30pm ET with the green flag expected to drop at 2:13pm ET. Allen Bestwick will anchor Saturday’s broadcast of the 300-lap event. He will be joined in the booth by former Winston Cup champion and ESPN analyst Dale Jarrett and former NASCAR crew chief Andy Petree. More information on ESPN2’s coverage of the NASCAR Nationwide Series is available online at http://espn.go.com/racing/nascar. To keep up with the latest sports and entertainment news and reviews, go online to http://www.facebook.com/philspicks and “Like” it. Fans can always keep up with the latest sports and entertainment news and reviews in the Phil’s Picks blog at https://philspicks.wordpress.com. NASCAR official kicks off its 2014 season this Sunday with the annual running of the Daytona 500. Before NASCAR’s top names take to the track, the next generation of NASCAR will start their engines for the first time Saturday in the Drive4COPD 300 live on ESPN. The green flag for Saturday’s race is expected to drop at 1:15pm ET. Allen Bestwick will have lap-by-lap coverage of Saturday’s race. He will be joined by veteran NASCAR driver and Winston Cup Champion Dale Jarrett and former crew chief Andy Petree. Before NASCAR’s next generation starts its engines for the first race of the 2014 season, they must first qualify. ESPN2 will carry live qualifying for the Drive4COPD Friday, February 21st at 1pm ET. More information on this weekend’s coverage of the Drive4COPD 300 and all of the latest from the NASCAR Nationwide Series is available online at http://espn.go.com/racing/nascar. To keep up with the latest sports and entertainment news and reviews, go online to http://www.facebook.com/philspicks and “Like” it. Fans can always keep up with the latest sports and entertainment news and reviews in the Phil’s Picks blog at https://philspicks.wordpress.com.